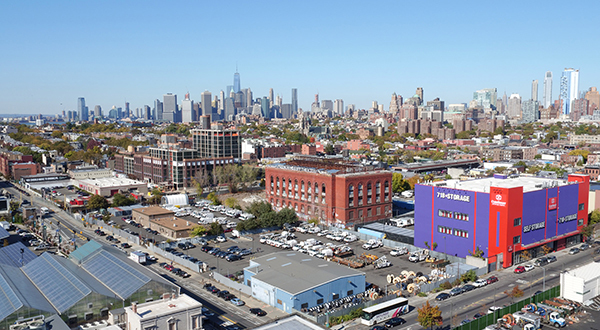 Aby Rosen’s RFR Realty landed a $74 million mortgage for its purchase of a Gowanus development site from SL Green and Kushner Companies. The three-acre site, which covers 175-225 3rd Street, is located at the corner of Third Avenue across the street from a Whole Foods branch. The loan closed simultaneously with RFR’s $115 million acquisition of the site, according to documents filed with the city on Tuesday. Maryland-based firm Union Labor Life Insurance Company assumed the $40 million unpaid balance on the property and provided a $34 million gap mortgage. The 140,000-square-foot property was previously used a parking lot. Before the sale closed, SL Green was the majority owner of the site, holding a 95 percent stake. Kushner held the remainder of the shares. SL Green acquired the site for $72.5 million in 2014. The property is part of an area of Gowanus that may be rezoned. If that plan pushes through, it would allow developers to build new residential projects in the area, essentially revamping a neighborhood defined by its collection of low-rise industrial buildings. Brad Lander, the area’s City Council representative, has given conflicting statements on the proposal. He advocated for the plan last October . However, he promised opposition when Two Trees Management bought the site of a Lowe’s store in the neighborhood, saying that he would fight proposals for a residential development. The new loan is the latest in a series of financing deals that RFR closed this month. The firm recently landed a $140 million loan for the Paramount Hotel in Times Square. It also closed on a $52 million mortgage for 281 Park Avenue South. A representative for RFR did not immediately respond to a request for comment, and a representative for Union Labor Life Insurance Company could not immediately be reached.